02.Customised your own design pattern. 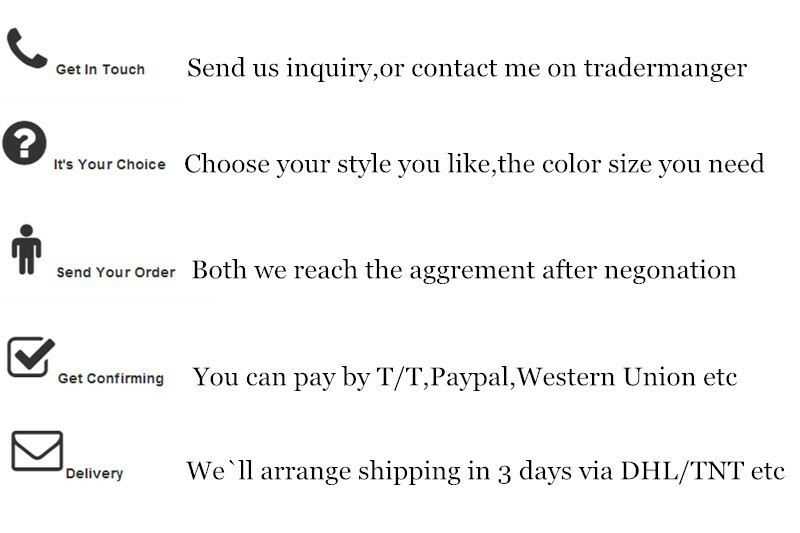 Offer Asian size , American size , European size and customised your own size chart . 01. Are you a manufacturer or trading company ? 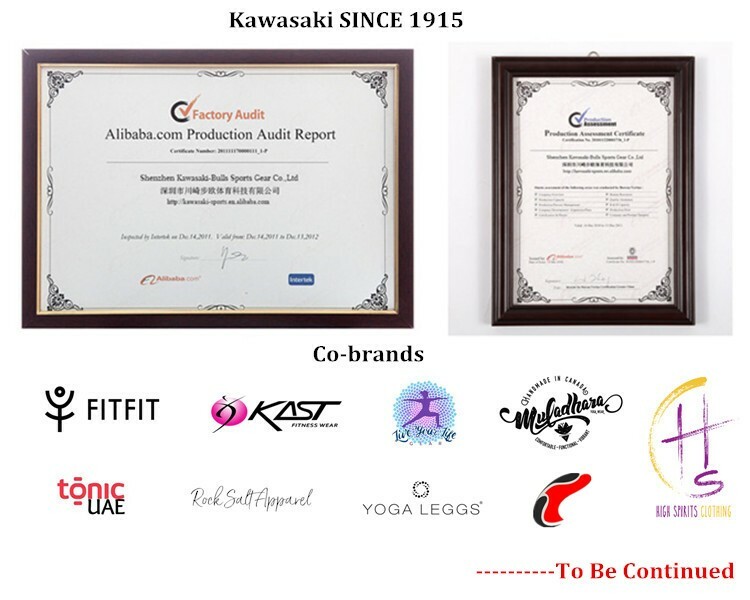 Kawasaki manufacturing fitness sportswear since 1915. main products Yoga legging,sports Bra,top tank,shirts,capris, men GYM compression and team sports clothes. 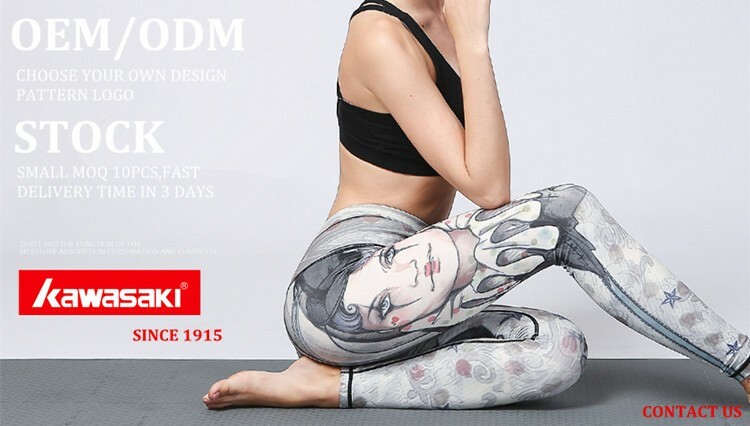 We do supply our customers good quality and perfect workmenship OEM ODM products. 02.What`s your MOQ (minimum order quantity )? 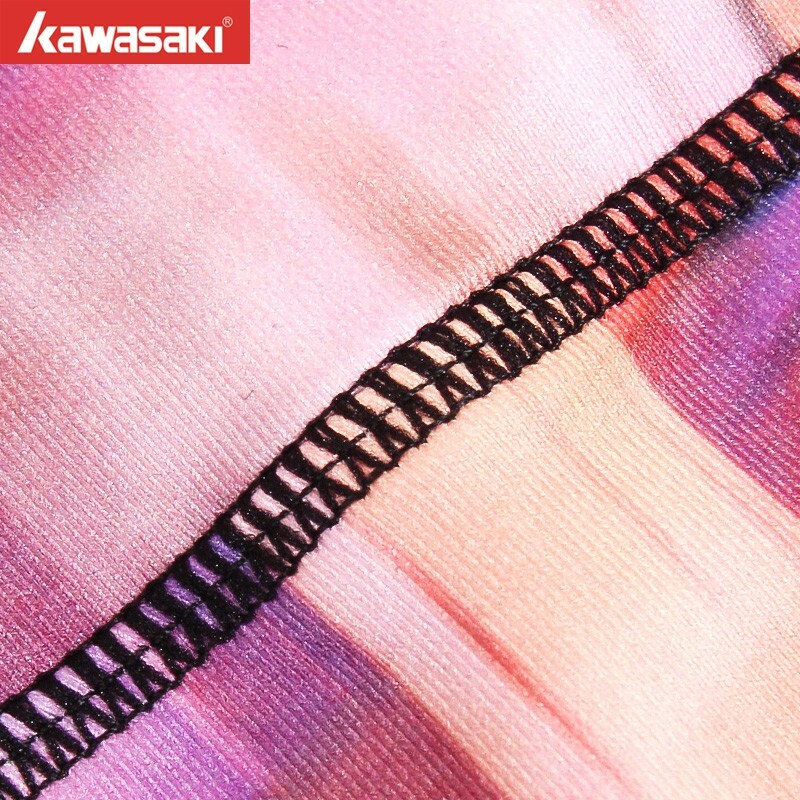 We accept small order with MOQ 10pcs for stock .Welcome to contact us to get Kawasaki new leggings stock list . 03.I have my own design logo, Can I put it on the sports Bra ? 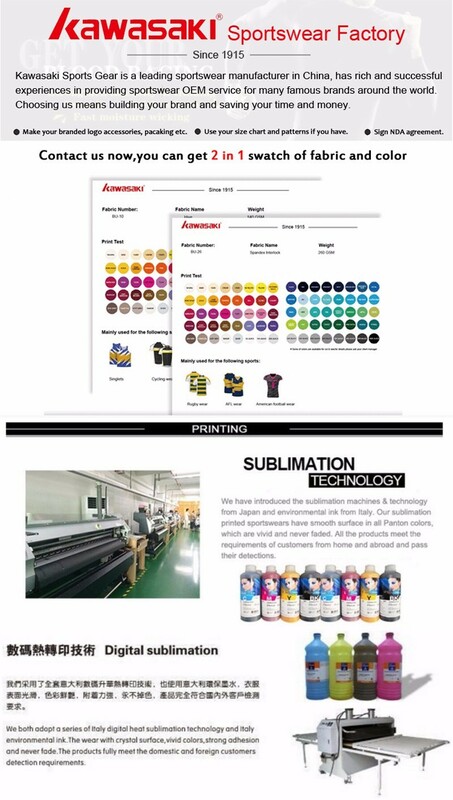 Of course,as you can see above we can customised your logo,size,label as your requirements. 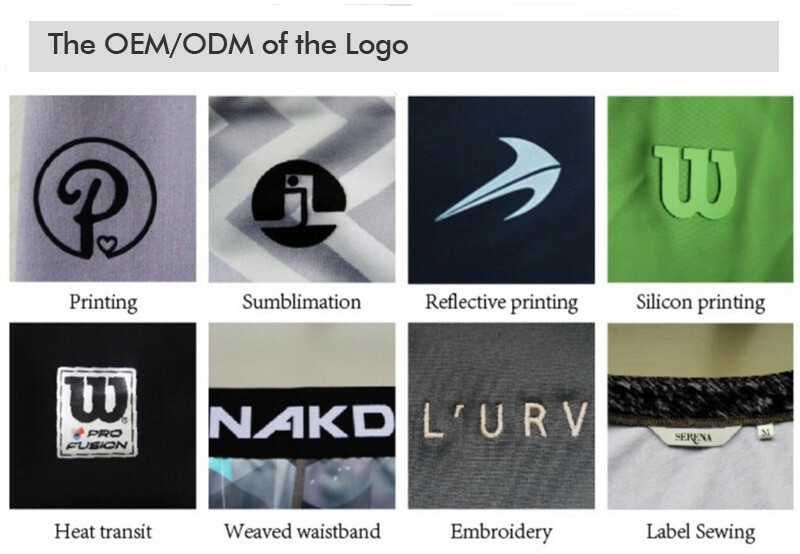 when you need OEM ODM products,please share us more details to design for you. 04.What`s your sample policy and lead time ? 05.What`s the payments you accept ? We suggest you place order on alibaba ,we have Trade Assurance to protect your rights. Noramlly, we accept T/T, Western Union, Paypal ,MoneyGram. Contact us for more details about price ,packing,shipping and detail pictures .